"...purchased my first vehicle from them 4 years ago & its still going strong...Friendly service & knowledgeable staff." "...best decision on buying a used car. The next step is going by the lot and seeing what they have." "...it was meant to happen. Awesome service from these guys. Thanks to the whole team! 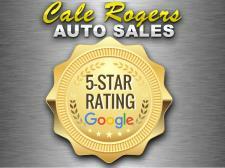 "...LOVE my 2007 Ford Explorer..."
" I would highly recommend buying a used vehicle from here. Best deals around that I could find." "I have gotten both my cars from here, I Highly recommend going to see these guys." "...sweet deal on another car that we still drive today, no questions asked."